Hi everyone...Dawn here. I have to admit...here in AZ I think a lot of us look forward to Fall to escape the blazing heat...especially those in Phoenix I'm sure. I live in Northern AZ and we are about 10 degrees cooler. I was just driving near Williams AZ and there are literally thousands of wild daisies blooming everywhere not to mention all the crows. 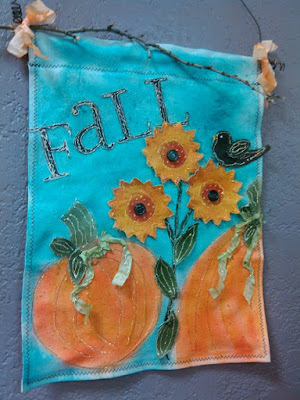 I took a hint from nature and created this Fall garden flag with sunflowers. 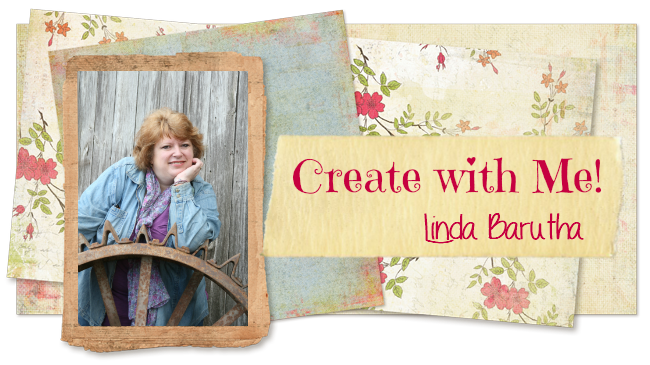 I started off with a Linnie Blooms Garden flag. 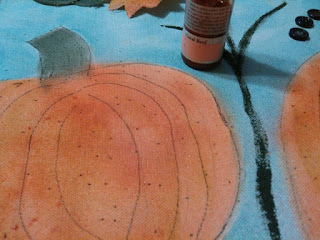 I used ink and a blending tool to make the pumpkins. 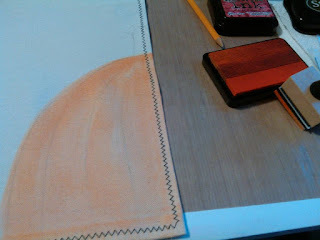 You can use paint too but I wanted the canvas to remain flat without having to stop and iron it. I used a Sharpie marker to draw the lines and dot the pumpkins. 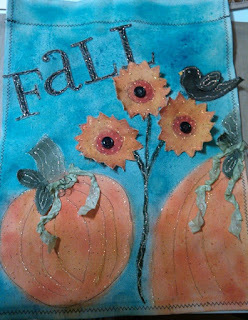 I used the Linnie Blooms sunflowers...inked them orange and the sprayed them...along with the pumpkins...with Tattered Angels coral reef color. I LOVE how it added so much to them. The added some lines and dots with the Sharpie and a black button. I Stickled EVERYTHING...I love Stickles to add sparkle. I used the Diamond Stickles. 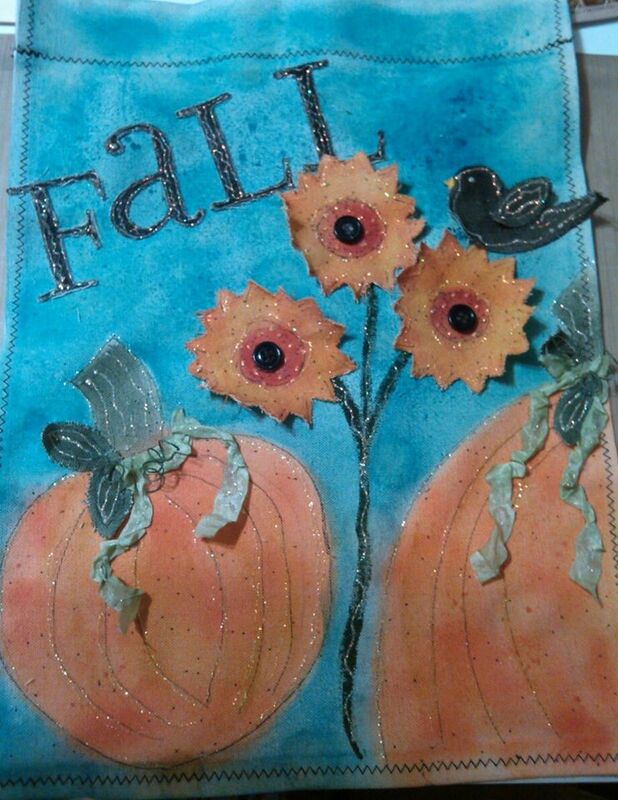 I used some floral wire to make the little squiggle things pumpkins have. 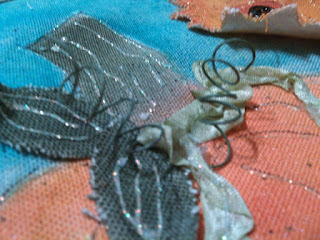 And Linnie Blooms green ribbon added a little greenery along with Linnie Blooms leaves. 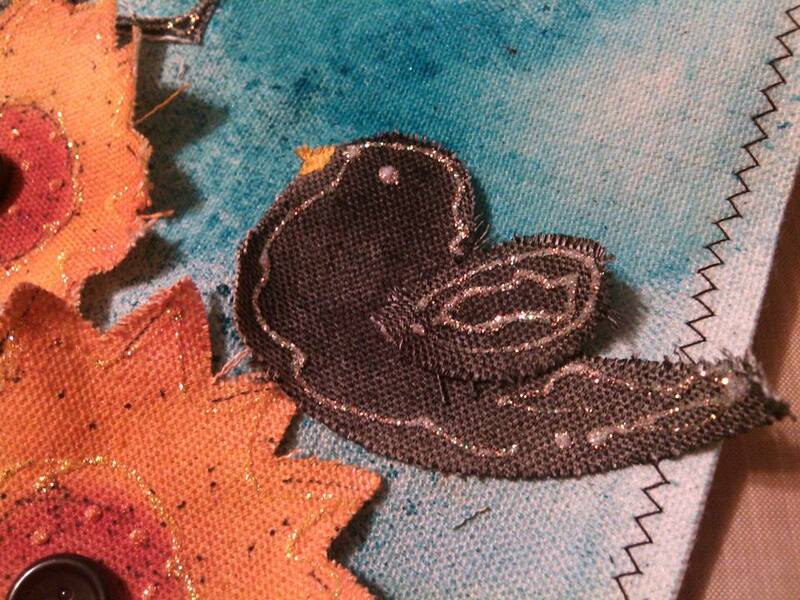 Oh I love my little sweet black crow...he turned out cute and sparkly. I used Linnie Blooms bird and a small leaf for his wing. 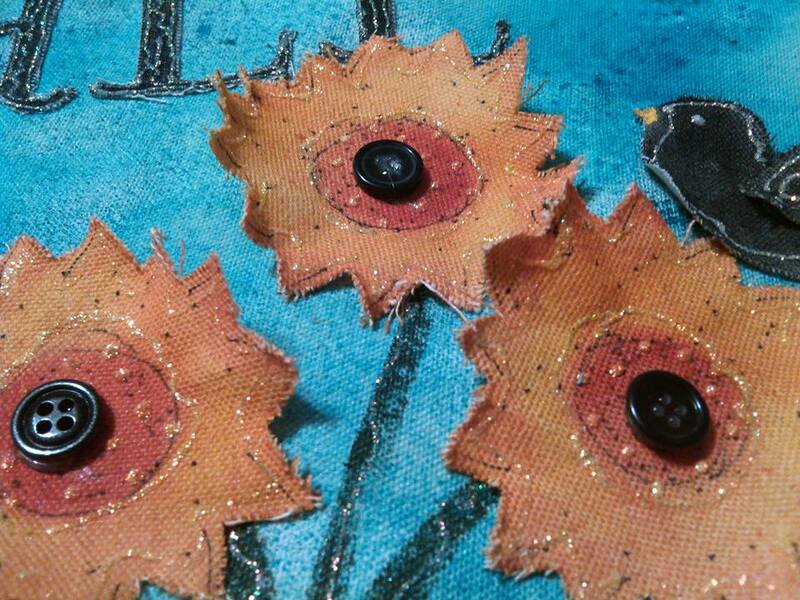 Close up of my blingy sunflowers. 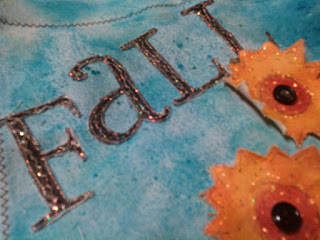 For the FALL letters I stamped on some extra canvas I had and then cut out the letters...glued them on and added more bling. I also used some Lindy's spray in Tibetan Poppy Teal to the background blue...It activated the distress ink and gave it a watercolor look. My husband added the stick into the "pocket" and the wire to hang it. I added an extra stick and the peach color Linnie Blooms ribbon. Have a great day...and think FALL!